$199 WEST PALM BEACH MOVING SPECIAL - Call now 615-9889. 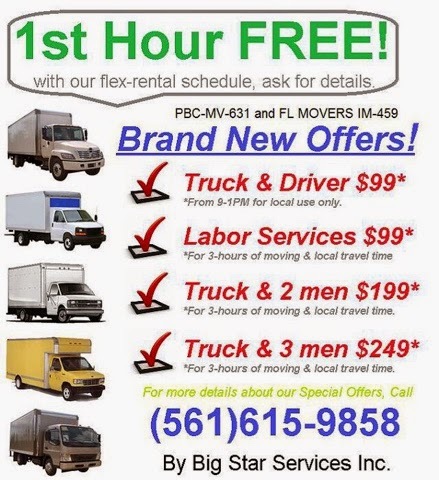 * * * WEST PALM BEACH MOVING SPECIAL from $199 !!!! Call now 615-9889.- * * * $199 for Truck and 2 movers for 2 hours moving and 1-hr travel time. NEED MORE TIME? It's only $69 per hour. OUT-OF TOWN?